If essay writing wasn’t a crucial aspect of a formal education, most high school and college students would skip it. This comes as a surprise, considering how important a skill essay writing is in life. Most jobs today require formal application letters, detailed periodical reports of projects and even grad school admissions departments require formal letters (such as statement of purposes, academic statements, etc) before students are given places in their institutions. Everyone who has ever written an essay will admit that writing a precise and outstanding essay is no easy feat. Logical ideas would have to be thought out in a linear fashion and of course, mistakes will be made. Several drafts will be written and thrown away before a student can truly learn how an effective essay is written. Others might throw in the towel after a few discouraging trials –and-error sessions. Instead of trying and failing, they will seek the assistance of essay writing services. After all, it is easier to Google ‘write my essay’ or ‘type my essay’, than to struggle through the grind of writing an academic essay. But mastering essay writing isn’t difficult. The thesis statement is a major aspect of the essay. It is, therefore, very important to choose a strong thesis statement that expresses your point of view as the essayist. It should also inform the reader on the direction the essay will go. Basically, a strong thesis statement clarifies to the reader, the what and the how of the essay topic. That is, it describes what the essayist intends to argue in the essay and how the argument will be made. Essentially, in the body of the essay, the writer will be supporting their thesis with their own ideas. 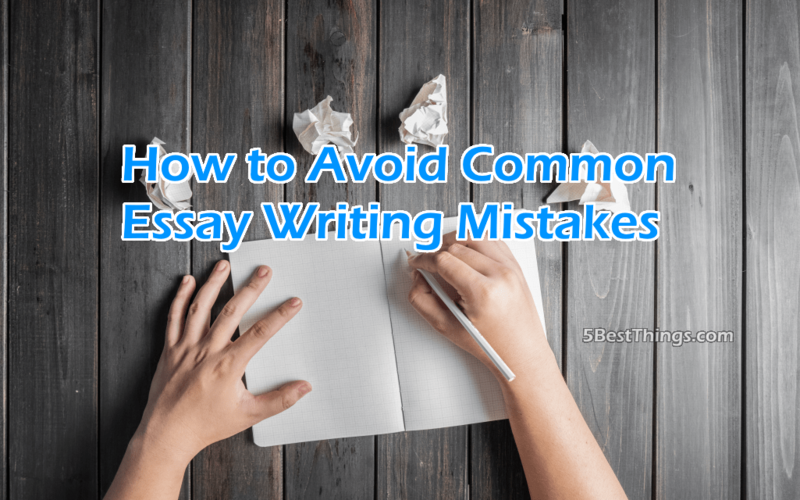 One common mistake writers often make is to choose a thesis statement haphazardly only to realize half way through that they do not have sufficient ideas to support it. Avoid this mistake at all cost. Think critically before you choose a thesis statement. As much as you can, outline the points, ideas and arguments you can make to support your thesis. Alternatively, you can find essay samples online and use them as a guide. One good place to look is https://writepro.net/essays/write-my.html. Of course, there are other sources. This should help you choose the best thesis statement for you. While writing your essay, it is important to remember that your reader will be asking a lot of questions. How? What? Why? And your job as an essayist is to prepare ready answers for the reader. This is best done by clarifying and proving ideas. Great essays site logical examples, quote primary and secondary authority sources and site evidences in order to convince the reader. Don’t make the mistake of leaving out these important parts, else the essay will feel incomplete and unfinished to the reader. To some students, writing the conclusion is both boring and confusing, they just dump a summary on the reader. Avoid this mistake. Powerful conclusions require a lot more effort. In fact, they are the writers last opportunity to persuade the readers with meaningful words. In your conclusion, restate your thesis statement, summarize your main point and stress the significance of your essay. Don’t forget to mention the reasons for your arguments. While writing essays, students get so tense, that they forget the basics of sentence structure. Some sentences emerge unfinished and this can be disconcerting for any reader. When writing or revising your essay, remember that every complete thought requires a subject and a verb. Most of the time, this mistake occurs when the writer starts writing a complex sentence and neglects to complete it. Reading out one’s essay will help to root out unfinished sentences. Don’t revise or edit your essay when you are tired, you are likely to miss such mistakes as this. Academics frown upon contractions or abbreviations such as don’t, aren’t, won’t, mustn’t, isn’t, you’d and so on. Exceot your are directly quoting another text (e.g authority source), never ever use these contractions. Instead write out the words in full. For instance, it is more acceptable to write, do not, are not, will not, must not, is not, you had or you would. Take not of this and avoid this common mistake. If you read and write a lot of creative fiction and non-fiction, you could fall into this trap. But in academic essays, you should keep your essay pristine. Remember there is no room for experiments. So do not use the second person pronoun, you. Below is an example of such a mistake where both contractions and second person pronoun and point of view was used in the essay. You aren’t given all the facts of the research.